Paternity Depot has built its business philosophy around offering the lowest prices of DNA testing on the market, paired with the quickest turnaround times. The company was launched around a decade ago, currently occupying offices in New York and Toronto. Its official activity has always been mostly based on paternity-related services, so people often think that’s the only test available in its portfolio. Our Paternity Depot review will focus on its complete offer and investigate whether low prices also bring upon certain quality compromises. Placing an order – You can order your preferred testing kit through their website or over the phone. 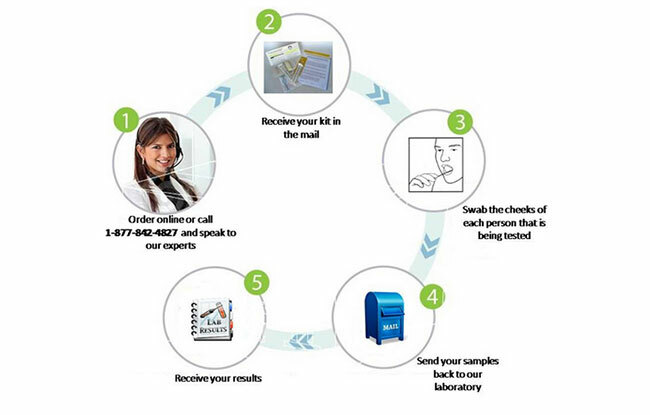 Sample collection – The kit uses buccal swabs for collecting your DNA specimen. 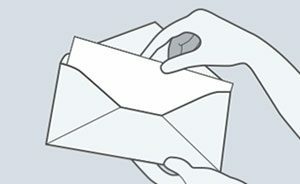 Sending the sample back – Once the specimen is collected, you can send it back to Paternity Depot for processing. Inspecting the results – Paternity Depot offers numerous ways of delivering your report, including phone, e-mail, fax, and others. The results are usually complete within 7 business days. This brings us to the first major problem we have with Paternity Depot. Nowhere does it state that tested subjects must give explicit consent or even be aware of the testing at hand. This opens up ample space for underhanded endeavors, especially with discreet DNA testing. On the other hand, Paternity Depot offers split testing kits for cases when subjects live in different states. The extra kit is sent free of charge. Our second problem is the disparity between the information found on the site. For example, one page states that the results usually arrive within 7 business days, another one lowers that number to between 3 and 5 days. Luckily, its user support is always available, so you can obtain any vital information from them. Paternity Depot offers an opportunity to save even more money and time by fashioning your own DNA testing kit. The site holds detailed instructions on how to make your own kit and collect your DNA sample. This will cut around 20% off the price of its tests and save you the time needed for the test kit to arrive at your address. Contrary to popular belief, Paternity Depot offers 5 different relationship DNA tests. Relationship DNA testing simply aims to establish immediate biological connections between two individuals, such as paternity/maternity, grandparentage, and others. It shouldn’t be confused with ancestry or health-related DNA testing. Basic Paternity Test (59$) – The test kit includes buccal swabs for one father and one child. Additional subjects can also be tested for an extra 50$ per sample. This test also features the possibility of discreet testing when buccal swabs are not available. Discreet testing always needs to be highly monitored and controlled in order to avoid testing people without their consent or even knowledge of the affair. This test used to cost 66$, but Paternity Depot lowered the price even further. Be careful if you’re ordering it from retailers, as many of them still hold the old price. Sibling DNA Test (199$) – The test is used to establish whether potential siblings share one or both parents. Alternatively, it can determine full exclusion, negating the existence of siblingship in its entirety. 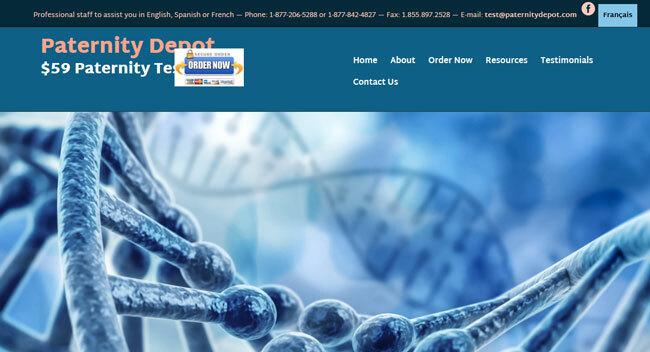 This is where you can truly see the pricing difference between Paternity Depot and other DNA testing providers. Sibling DNA testing usually comes with a price tag of 350$+. Avuncular DNA Test (199$) – Avuncular testing is used to determine the biological relationship between potential uncles/aunts and nieces/nephews. Paternity Depot also included grandparent testing into this category, which is an obvious misstep on their part. (Avunculus – maternal uncle; Avus – grandfather). Maternity Test (59$) – This DNA test is designed to confirm or exclude a maternal biological relationship between the supposed mother and one child. Legal Paternity DNA test (50$ surcharge for the chain of custody form) – Paternity Depot has partnerships with over 500 locations where you can provide your DNA sample for legal DNA testing purposes. It’s the most definitive proof of paternity and it can be used in proceedings regarding child support or custody, birth certificates, immigration, tax forms, adoptions, court orders, wills/estates, and other legal matters. The price is staggeringly low as well, as similar testing starts at about 400$. Paternity Depot uses a common DNA testing procedure in its analyses called CPI or Combined Paternity Index. Scientists examine the provided DNA samples by comparing specific places in their genomes called genetic Loci or DNA markers. This brings us back to our story of disparity on the site, as one paragraph states that they test 16 genetic markers while another raises that number to 20. Whatever the actual number may be, genetic markers are extracted from the sample, amplified, and compared through a process called PCR or polymerase chain reaction. The biochemical technology available to Paternity Depot’s molecular biology department enables them to extract highly accurate results while working with small quantities of DNA. Based on the level of equality between the tested samples, the results will either include or exclude the subjects from tested biological relationships. Paternity Depot states that it will not share any personal information with third parties. This includes information about your payment plan, test results or contact data. It also claims that all purchases going through its site are encrypted via SSL security technology. After performing our own SSL check-up, however, we determined that its certificate expired. This means your server-client link will not be encrypted until Paternity Depot renews its certification. Payment options available for Paternity Depot’s services include MasterCard, Visa, American Express, and Discover, as well as PayPal. DNA test kits can be shipped via regular or express mail. Shipping costs are not handled by the company, so you’ll have to include an extra 8$ or 20$. According to Paternity Depot, the average time for the kit to arrive at your address is between 4 and 7 days. Paternity Depot definitely offers the lowest prices on the market, period. It executes its tests within its own certified laboratory and provides extremely quick and accurate results. Order and payment options are pretty flexible and user support is always available to provide assistance. Having said that, we already raised several concerns regarding information disparity on its site. User feedback on services performed and user support competence was pretty divided between glorification and diatribes. Our final conclusion in this Paternity Depot review is that it sports a highly competitive and tempting business model; however, it is a model with numerous inadequacies yet to be ironed out if the DNA testing provider plans on rivaling major players in the industry. Our ratings are the result of an objective and independent evaluation of Paternity Depot, generating the final rating that reflects the overall quality of the company. Ratings may change as the service changes. Paternity Depot user rating based on 12 user reviews. AVOID AT ALL COSTS! Bought a kit 26th October 2018. Claims results are within 5 days. Still awaiting results over a month later. Sent emails with no response. And there is no phone number to contact them direct. NOT HAPPY. Anxious parents waiting!!!!!! Everything went without a hitch and it didn’t cost me an arm and a leg to get a court valid proof of paternity. I guess the website could use a bit of work but who cares about that if I’m saving money and getting the job done. I like how you can send pretty much anything that has any dna on it and you’ll get the same results as if you sent blood. Paternity depot is also very discrete and I’ll def use them again if I’m ever in a similar jam. Because of the incorrect results that we received, from a company that claims it’s tests are 99.99% accurate and is tested in local labs and then sent away to Canada, my child has suffered more than 15 of her very first months fatherless. Being a single mum, I struggle financially so was delighted when I saw how affordable this test was. It was only after I purchased the test that I saw the awful reviews. I received the results (after a remarkable amount of time) and saw that they were negative, which was obviously very confusing to me as I knew this to be impossible. My daughters father, then in Canada, was uncontactable after this. 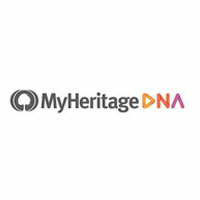 When I recently heard his mother came back to England I asked her to carry out a grandparent dna test with a well researched and more expensive company, only to find out that he is in fact my daughters father. We are now left trying to pick up the pieces. Throughout this process I had different queries and complaints which were completely ignored or rudely dealt with. I know they are inexpensive but please, please wait another month, save up a little extra money and find a effective service because this company unapologetically have the potential to ruin lives. If I only stop at least one family from this unnecessary trauma then I will be glad. As I read in another review: AVOID THIS COMPANY LIKE THE PLAGUE. How did you know the results were wrong? I used their service. They told me I needed to send another set of samples but do not reply with the address, nor have the address on the web page or reply to any of the e-mails I've sent. I am very disappointed with their service as I feel I will lose the money I paid. If anyone knows the address where I need to send the samples, I would appreciate to have it. Thanks! It's wrong firstly that you have to give them one star! Secondly the staff are rude and have no manners what so ever I had the phone hung up on me loads of times , I called every day after the 3-5 day mark took a month to get my paternity results . I know the father of my child was the father and I feel they messed up my results because I kept calling!!! Anyone else had this problem? Get in touch with me id like to compare results .. Your ridiculous. Maybe you should do another one from another company. Why would they care your your baby daddy is. I took the chance and did it, everything went fine and sure it might come across fairly low budget and cheap but that's exactly what it is, a cheap spit test. You don't need test tubes or special packaging on the consumers end. It is the cheapest I have found for sure even with shipping and all went well and the results were good. As far as accuracy or did they even do anything aside from just write numbers and sent off fake results? I don't know but I would have to believe being a company on the BBB that they would have to be certified and get inspected and they claim to have ISO 17025 certification and for that there is most definitely guidelines and protocols you have to abide by. That being said I would have to think they are legit. I tried to contact these people on the reviews to compare but my email's won't go through to them and they don't have any follow up complaints so I imagine they never found anything wrong. For all of that, you get 5 stars! Got a test done to remove doubt about an affair I knew about. The test confirmed my suspicions that the child was not mine, but it took me over a year to tell the child's mother (now my ex). After discussing it, we agreed to do another test, pay more money and make sure it was a local and well respected testing company. Surprisingly the results came back the complete opposite, I was in fact the father!I cannot tell you how awful it is to get results that are flat out wrong, from a company stating they take this as seriously as we all know it is. Avoid this company like the plague! They only care about making money and don't have any concern for the lives they could potentially ruin in the process. Hi, how long did it take for you to get results back? Paternity depot is a blessing for anyones wallet. I did my homework and they gave me the lowest prices out of all companies I've seen so far. I called the user support to check up on my results and they were pretty rude and unprofessional. The testing went pretty ok I just had to wait an eternity for the kit to arrive to my home. Compare results I believe it's a scam. We needed an urgent dna test, so we ordered the cheapest and quickest one, but once you pay the shipping costs it doesn't look that cheap no more. We found 0 verified Paternity Depot discounts for April, 2019. There are no Paternity Depot coupons or discounts right now. If you want to go beyond our Paternity Depot review and learn even more about the company and its services, our collection of Paternity Depot guides offers just the information you are looking for. Browse the articles below to find out all about Paternity Depot testing accuracy, prices, testing kit, corporate legitimacy, features that set it apart from the competition, and much more. Is Paternity Depot Legit? - exploring the very foundations of the company.